Home / Deals / Parenting Early Years Magazine Subscription only $4.99 per year! Parenting Early Years Magazine Subscription only $4.99 per year! Discountmags has a great deal where you can get a Parenting Early Years Magazine Subscription only $4.99 per year! At this price, you can get up to 3 years of this magazine full of tips on parenting children ages 0-5! 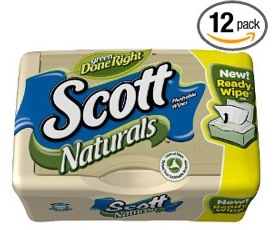 Scott Naturals Moist Wipes (Folded) $1.67/pack!